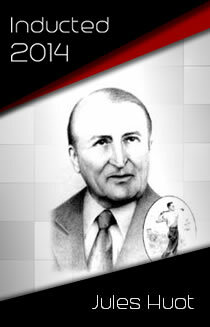 Often regarded as one of the best golf professionals to come out of Quebec, Jules Huot became the first Canadian to win a PGA Tour tournament when he captured the 1937 General Brock Open. He was a three-time winner of the PGA Championship of Canada, taking the title in 1934, 1939 and 1946. Huot was also the PGA of Canada’s President in 1946 and was inducted into the Canadian Golf Hall of Fame in 1977.